Ever snapped the cable off your phone and almost had a heart attack? Well for $9, you can prevent this specific event from happening with ZNAPS, a fully funded Kickstart campaign. ZNAPS works similar to a MagSafe device for a MacBook pro, but there are 2 pieces: one to attach to the mobile device (currently supporting microUSB and Lightning cable – there is a stretch goal for USB-C, if the Kickstarter reaches $2M), and the other to attach to you own cable. The ports itself have no moving parts and seals in the port themselves, making the port on your phone waterproof. 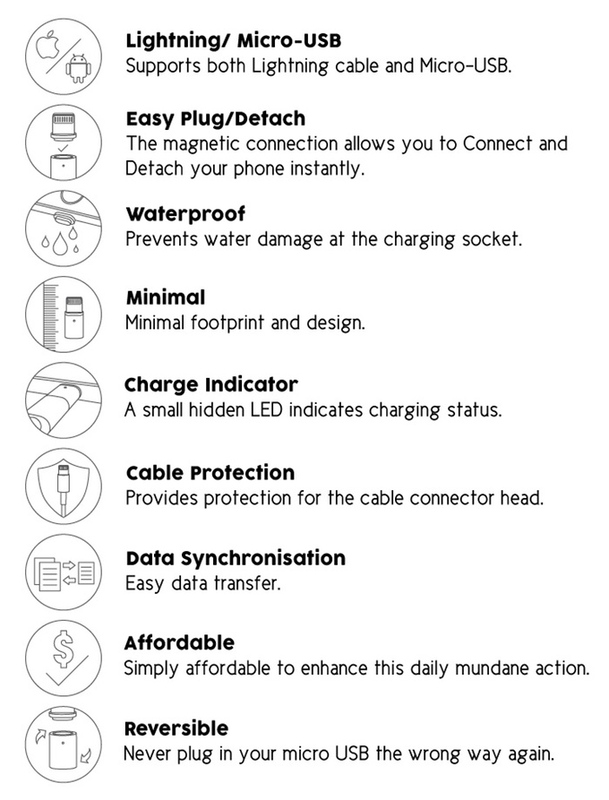 Perhaps one of the coolest part is since the microUSD has changed to a magnet port, its completely reversible, you don’t have to worry about which way to plug in your phone. ZNAPS start off at 11CAD (roughly 9USD) and you have the option of selecting different combinations through their donation link. I will be donating more once the USB-C is available. There is 13 days left to this Kickstarter project – so go get your ZNAPS, click here to head to their Kickstarter page.